Your Budget Host Sunset Motel features exciting amentities – Indoor Heated Pool, Steam Room, Exercise Room, Free Wireless High Speed Internet, Guest Laundry, 24-Hour Coffee, In-Room refrigerator and Microwaves. Located on the campus of Allegan U-Stor at 690 N. Eastern Ave., the Hartman Conference center is a great option when you need extra space for birthday parties, class reunions, business meetings, vendor shows, holiday gatherings, and more. For more information, call Allegan U-Stor at 269.673.5929. The best of Southwest Michigan living. 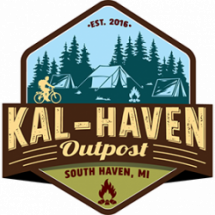 Vacation rentals in the Saugatuck/Douglas area, all-sport Lake Allegan and coming soon…South Haven.